People ask all the time what to eat before and after workouts, and when exactly to eat. I have my own thoughts on it but can’t stress enough the importance of eating something, especially before tough workouts. 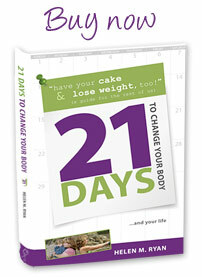 Today’s “12 Days of Fitness” expert is FRANCI COHEN. Franci not only has triple bachelor’s degrees(!) but she also has a master’s degree in nutrition and a master’s degree in exercise physiology. Who better answer the question: to eat or not to eat? Forget “fasting exercise” and the myth that exercising on an empty stomach will burn more fat. You need to eat to fuel your workout AND to prevent muscle loss. When you’re hungry, your body’s homeostatic system forces the body into survival mode as a protective mechanism. During this process it draws protein from muscle instead of from your kidneys and liver, where the body normally looks for protein. After an intense workout, you need to replenish the glycogen stores that you depleted from your muscles while exercising. Eating food that combines both lean protein and carbohydrates 30 minutes to an hour post-workout will replenish glycogen stores, build and repair your muscles that were broken down, and will jump-start your metabolism and keep it revved up! Additionally, you need to rehydrate post-workout to maintain your electrolytic balance within the body. Franci Cohen is a personal trainer, certified nutritionist, exercise physiologist and creator of SPIDERBANDS®. With over 18 years of experience, Franci has been a mainstay in the fitness and nutrition industries. 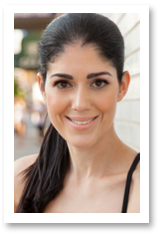 Franci devotes much of her time to Fuel Fitness, her specialty fitness center in Brooklyn, NY, where she continues to teach group fitness classes, train clients and broaden her perspective in all areas of fitness, nutrition and wellness.Visit her at www.francicohen.com.